Two spots in the 2017 World Baseball Classic have been decided. Japan, who won the first two classics, advance to the semi-finals along with the Netherlands. Japan finished the first two legs of the tournament undefeated, and will take on the runner-up in Pool F. The Netherlands moved on with a record of 4-2. They will take on the winner of Pool F once that is decided. The Cinderalla story has finally come to an end for Team Israel. After going undefeated in the first round of the tournament, Israel lost their second in a row, this time to Japan, sending them home after an improbable run in their first ever WBC. Kodai Senga started the game for Japan and went five strong, allowing just one hit and one walk with four strikeouts. Josh Zeid was matching zeros with Senga, and continued his solid performance in the tournament. Japan would break the scoreless tie in the bottom of the sixth inning. Yoshitomo Tsutsugoh hit his first home run of the tournament off of Dylan Axelrod to lead off the inning. The gates would open as Japan would tack on four more runs that inning to lead the game 5-0. 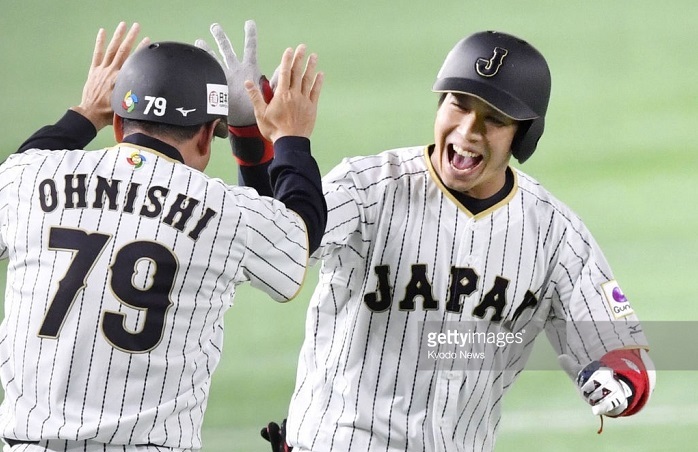 Things continued to get worse for Team Israel, and they could feel their chances of continuing slip away when Japan put three more runs on the board in the bottom of the 8th. Israel would inch a little closer putting three runs on in the top of the ninth, but unfortunately that wasn’t enough and it would be the end of the road. The Netherlands pounced on Cuba early and often Tuesday beating them 14-1. It was the Dutch’s fourth win of the tournament and they will be moving on. For Cuba, it was their third and final loss of the second round sending them home. Diegomar Markwell did his part pitching for the Netherlands going six picking up his first win of the tournament. On the other side for Cuba, Lazaro Blanco was ineffective and lasted just 1.2 innings giving up four runs. Wladimir Balentien led the way for the Dutch hitting two bombs and driving in five. The 33-year old is hitting a balmy .615 so far for the tournament and showing no signs of slowing down. Yurendell Decaster added four RBI in their Pool E finale.